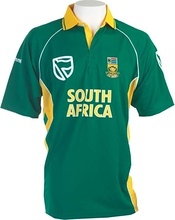 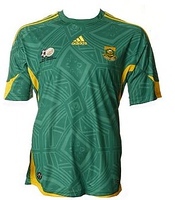 The redesigned Springbok jersey has been revealed (you'll get to see it on the advert on Supersport this evening if you live in SA) and can be seen as a harmonious agreement between one of South Africa's oldest icons, the springbok and the new, the protea. 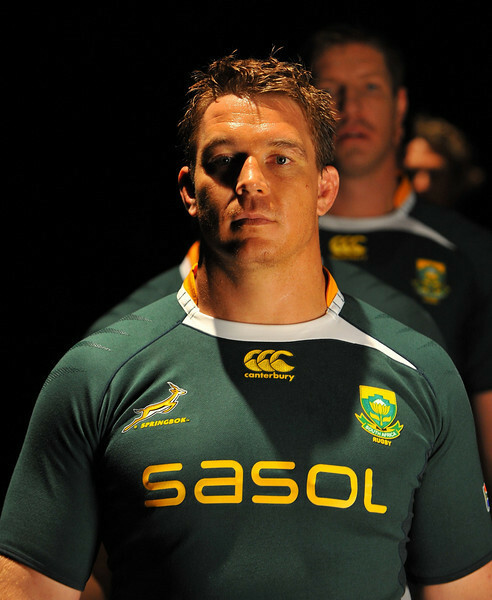 As you can see from this fetching photo of John Smit, the redesign sees the jumping springbok move to the right of the jersey, the Canterbury logo to the middle and the national sports emblem, the King Protea, on the left. 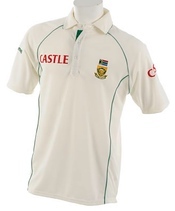 Hmmm, I don't think the cricket peeps thought this one through.